I built the Annoizer with the purpose of practicing my PCB organization and soldering skills. 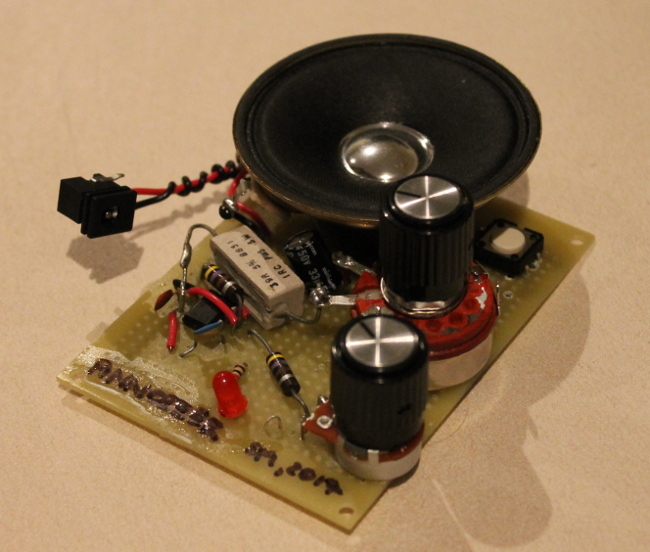 It uses a 555 timer to drive a speaker. There are controls for sound frequency and volume. There is also a pitch shift button, for basic effects.